There’s a popular saying in Japanese: dumplings over blossoms—meaning substance is better than beauty. But that might sell short the phenomenon of cherry-blossom season in Japan. Over the course of a few weeks, cherry trees across the country burst into bloom, painting the country in shades of pink and white. It’s become a national obsession with growing global appeal—and it’s a boon to Japan’s economy. 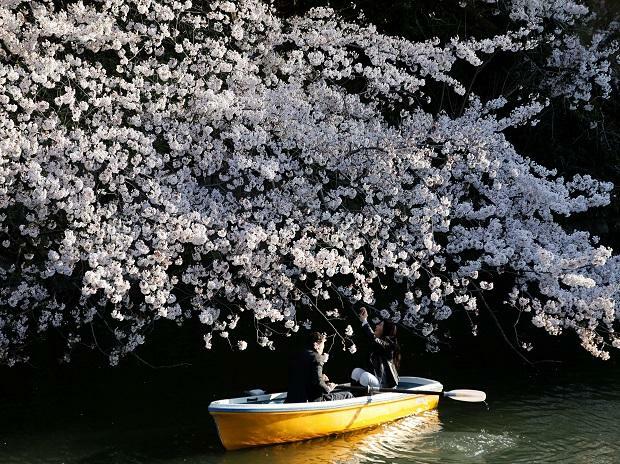 An estimated 63 million people travel to and within Japan to view the bloom, spending around $2.7 billion (301 billion yen) in the process, according to an analysis from Kansai University. With the bloom currently underway and the number of tourists up in the first two months of the year, a record number of visitors is expected again. The wave of cherry-blossom fever certainly isn’t limited to Japan. 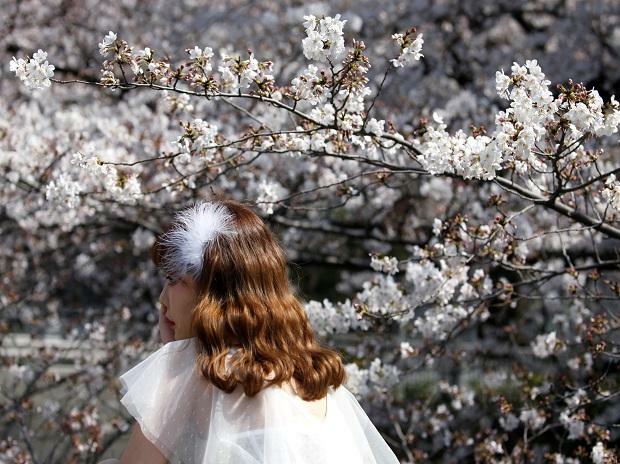 In Washington, D.C., cherry trees gifted by Japan more than a century ago have reached peak bloom, and are a major tourist-draw in their own right. To see even more trees, there’s Macon, Georgia—a city in the central part of the state. It’s home to more than 300,000 cherry trees, celebrated at an annual festival. But Japan’s tradition—millennia old—is hard to top. The Japanese government wants to attract 40 million foreign visitors by 2020—when it hosts the Olympics—up from a record 31.2 million in 2018. To reach that target, the country has relaxed visa policies, spent more on infrastructure and eased restrictions for low-cost carriers and cruise lines. The number of international flights on low-cost carriers each week has risen from fewer than 20 in 2007 to nearly 3,000 in 2018. The weaker yen, which has vexed the Bank of Japan for years, is a boon for tourists looking to stretch their vacation money further. For the government, it’s a chance to spur economic growth and convince investors that it’s still got a lot to offer despite its fading global importance. 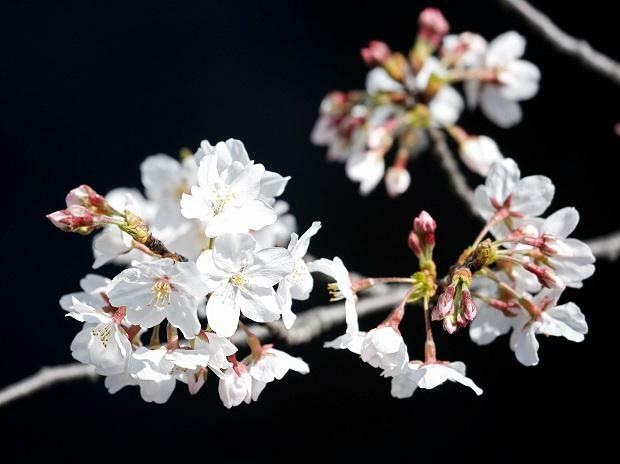 The cherry blossoms’ total economic impact is about $5.8 billion, according to an estimate by Kansai University professor emeritus Katsuhiro Miyamoto. Tokyo-based companies that run errands for customers, such as Nandemo Yutao, are now offering to save your coveted viewing spot—for a fee. Yuta Konno, the owner of Nandemo Yutao, charges roughly $26 (3,000 yen) per hour—or more, if customers want him to outfit the space with tables, cushions, food and drink. “I can take 24 spots in a day,” he said. He says his service is becoming increasingly popular as competition for spots heats up. If a picnic on the ground sounds too rugged, there’s a “glamping” equivalent for high-brow revelers: clear, plastic igloo-shaped domes under the trees with café tables and heating for comfortable dining al fresco. Groups can rent the space from CHANDON Blossom Lounge for about $80 (9,000 yen)—and be treated to an assortment of finger foods and champagne for an hour and a half. Some companies are ditching the outdoors altogether. Indoor hanami—private rooms complete with artificial grass and images of cherry blossom scenery projected on walls—are growing in popularity. Takeshi Takeoka, director of the real estate company that runs one such project called Ikejiri Select House, says demand for its sakura-themed rooms is up 50 percent since last year. Cherry blossoms and elaborate hanami setups are practically made for social media—particularly Instagram, which has fueled the boom in cherry-blossom tourism. Japan is one of Instagram’s most active markets, with the number of users more than doubling in the past two years to 29 million. And the government is taking advantage of this to boost tourism—especially away from congested cities. Japan’s national tourism organization collaborated with Instagram last year to promote a new hashtag, #UnknownJapan, which challenged users to share images of less-iconic locales and led to more than 5 million foreign visitors sharing posts, according to Ryoko Ichimura, a spokeswoman for Instagram in Japan. With much of the country in peak bloom, a search for the hashtag shows photo after photo of pink-hued branches. Many visitors are taking note and venturing beyond the cities. In 2018, more than 40 percent of foreign visitors stayed in hotels outside of Tokyo, Nagoya and Osaka, according to the Japan Tourism Agency. In Aomori, a remote northern prefecture home to 1.3 million people, there were 3.1 million visitors during sakura in 2018, according to Shoubunsha data. Earlier this year, Travel + Leisure magazine ranked Aomori as a top place to visit in April—when blossoms are in peak bloom. Back in Tokyo, hanami-goers are relishing the happy hues while they last. The bloom in the capital is expected to go from “peak” to “peaked” in the next few days, when the pink petals will start to fall. But there’s still beauty in the season’s end, with grass, ground and rivers awash in blossoms—a reminder of the magic just experienced.